The sixth victory this season for Christian Merli. Today he climbed on the top step of the podium at the 10th edition of the hill climb race at Limanowa, south of Krakow in Poland. It was the 9th of the twelve rounds of the European Hill Climb Championship. Merli thus claims his sixth victory in nine races, and the fifth consecutive one. He has now won the last three editions in Poland and also sets his eighth record this season. Free practice under a sunny sky on Saturday morning. Merli is first, 1” from his record of last year, when he saw the clocks stop on 1’53”546. In the first official practice session the Team Blue City Motorsport leader with the Osella FA 30 Zytek LRM finishes in 1’58”105. Guy Demuth from Luxembourg with the Norma M20 FC is second, 14” behind. At 11.30 the second session starts, and again Merli comes in first, in 1’56”300, then Demuth and Fausto Bormolini with the Reynard K02 single-seater. Two race heats on the 5.493 km track where the Scuderia Vimotorsport driver from Trentino took the victory in the last two years. It is a fast track, with a couple of hairpins and a series of double bends to be taken in high gears. In the free practice session on Saturday Merli posts a time of 1’55”367. Christian pulls out all the stops and soars to the top of the timesheet in 1’51”398, at an average speed of 178 km/h, establishing the eighth record in nine races held so far this season. 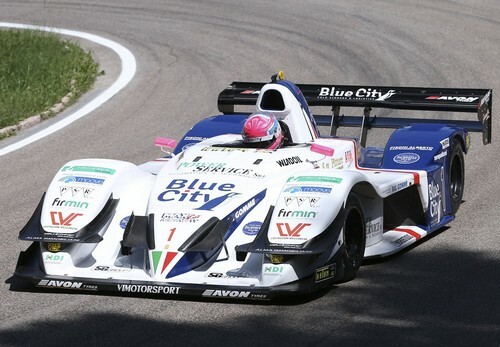 Second is Guy Demuth with the Norma M20 FC, in 2’02”592, third Fausto Bormolini, 12” behind Christian. Merli is again first, followed by Bormolini, who is 8” behind, and Demuth. 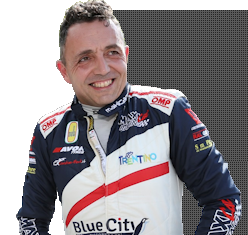 Looking back at the 2018 season to date, Christian Merli has gained the sixth victory in nine races at the wheel of his Osella FA 30 Zytek LRM, setting a new record for the eighth time. The Osella works driver is the sole leader of the championship table with 200 points. 1st Merli (Osella FA 30 Zytek LRM) 3’46”204, 2nd Demuth (Norma M20 FC) 4’05”518, 3rd F. Bormolini (Reynard K02) 4’06”296. 15 April: Col Saint Pierre (France) – winner Sébastien Petit (Norma M20 FC), 22 April: Rechbergrennen (Austria) – winner Christian Merli (Osella FA 30), 13 May: 39th Rampa Internacional da Falperra (Portugal) – winner Simone Faggioli (Norma M20 FC), 20 May: 47ª Subida al Fito (Spain) – winner Simone Faggioli, 3 June: Ecce Homo (Czech Republic) – winner Christian Merli, 10 June: Glasbachrennen 2018 (Germany) – winner Christian Merli, 24 June: Coppa Paolino Teodori (Italy) – winner Christian Merli, 22 July: 35th Dobšinský kopec (Slovakia) – winner Christian Merli, 29 July: Limanowa (Poland) – winner Christian Merli, 19 August: Course de Côte de Saint Ursanne (Switzerland), 2 September: Bistrica (Slovenia), 16 September: Buzetski Dani (Croatia).